Patio Furniture Raleigh NC. Nowadays the importance to decorate the outdoor space of your home is deemed as important as the indoor decoration. Modern and sophisticated people appreciate the value of space and they will look to decorate they outdoor space like garden, or poolside with the best outdoor furniture. Many people choose to spend their time relaxing in their garden or poolside while reading their favorite magazine or books, some are using the outdoor area to entertain visiting guest. For that reason the outdoor furniture have to be comfortable and stylish. Wilson’s Lawn and Garden Center: The garden offer wide range of quality outdoor furniture selection from chairs, chaise, umbrella and tables. The store also provides excellent sales and customer service. You can visit the Patio Furniture Raleigh NC at 1720 Old Durham Rd, Chapel Hill, NC 27517 or call it at (919) 942-3914. Plow & Heart: This Patio Furniture Raleigh NC store provides standard selection of garden and patio furniture as well as indoor furniture and accessories. Visit the store at 4121-100 N Hills St, Raleigh, NC 27609, or call it at (919) 510-8828. The World Market: This store provide excellent quality outdoor patio along with other indoor furniture collection. You can visit this store at 6807 Fayetteville Road Durham, NC 27713 or call it at (919) 405-2112. 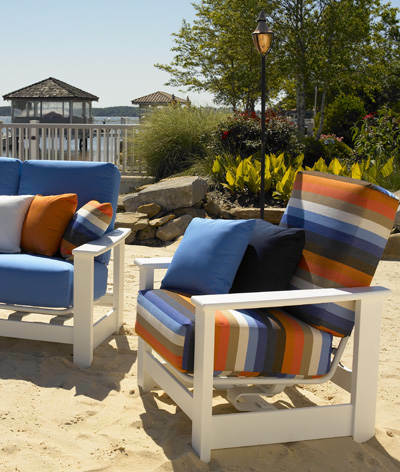 The Eclectic Furniture Garden: This Patio Furniture Raleigh NC store is one of our favorites. If you are looking to add personality and edge to your patio decoration you really should visit this store. 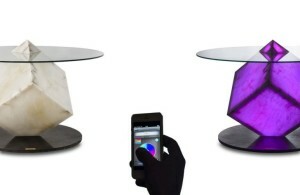 The Eclectic furniture garden offers excellent assortment of unique and edgy outdoor and indoor furniture for your home. You can visit this shop directly at 1932 Wake Forest Rd, Raleigh, NC 27608 or call it at (919) 821-0363. 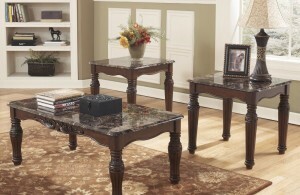 You can also visit their official website to browse over available items at eclecticfurnituregarden.com. The North Carolina Hammock company: Like the name suggest the store provide wide selection of hammock and Patio Furniture Raleigh NC. You can contact the store by calling to this number (919) 942-4090 or visit the store directly at 201 S Estes Dr, Chapel Hill, NC 27514. Rising Sun Pool : Another favorite Patio Furniture Store in Raleigh North Carolina, the rising Sun pools provide its customers with excellent collection of Patio furniture Raleigh NC such as outdoor dining furniture, patio Benches, patio Table sets, outdoor Sofas, Loveseats, rockers, chaise lounges, canvas umbrella, ottomans, and bar-height patio furniture. For further information about this store you can visit its official website at risingsunpools.com. 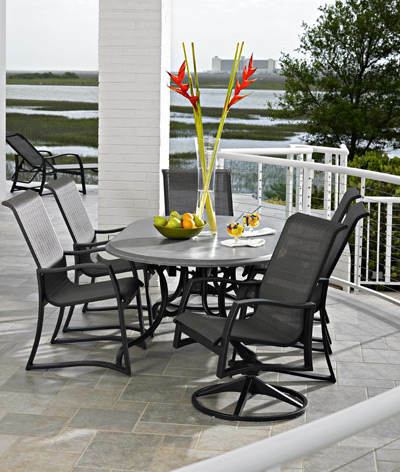 Patio Furniture Raleigh, NC Outdoor Patio Furniture. risingsunpools.com/products-services/patio-furniture.